Wealthy Sir Bohum Chantrey was giving a Sherlock Holmes dinner at his home, and he had invited psychiatrist and detective, Dame Beatrice Bradley, her secretary, Laura Menzies, and Laura's fiance Inspector Robert Gavin to attend. All of the guests were supposed to be in appropriate costumes. 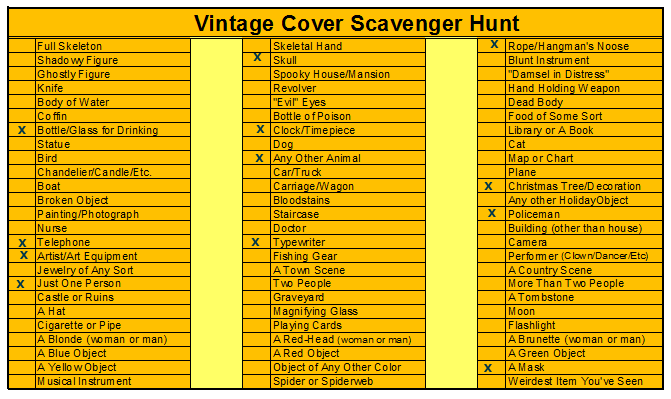 Laura would go as Mrs. Grant Munro, Gavin would be going as Inspector Lestrade, and Dame Beatrice as Mrs. Farintosh. (If you do not remember a Mrs. Farintosh in the Holmes stories, it will be explained). Others attending this event would be Charles and Ethel Mildren, impoverished actors, who would be Sherlock Holmes and Mrs. Hudson. Manoel Lupez who Sir Bohum's illegitimate son, and a bull fighter by profession, would be attending as Arthur Holder. The prime feminine role of Irene Adler would be taken by Linda Campbell, the governess of one of Sir Bohum's adopted nephews. Toby Dance and his wife Brenda would be attending as Dr. Watson and Miss Mary Sutherland. Sir Bohum would be portraying Professor Moriarty, and his secretary, Tony Bell, would be Duncan Ross. Others in the party were suitably dressed. The party started with a dinner and then progressed to the evening's entertainment. Some of the guests did not like their costumes and changed places with each other. 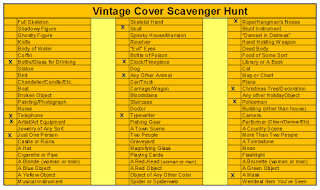 There was a scavenger hunt to find Holmes related objects which Sir Bohum had hidden. There was supposed to be a dance which had to be delayed because the musicians had lost their way in the heavy fog. What did appear from the fog was a large and shaggy dog which the members of the house party promptly named the Hound of the Baskervilles. Even Sir Bohum had not know that the Hound would arrive. Shortly after the party, Sir Bohum announced that he would be marrying Linda Campbell who was much younger than he was. This rather shocked the people who attended the party. Especially Manoel Lupez who worried that a legitimate heir to Sir Bohum's wealth might be born. It was apparent to many that Sir Bohum did not love Laura nor did he even seem to like her. Laura Campbell was murdered, and her body found at a deserted train station in the neighborhood of Sir Bohum's house. Lady Beatrice and Laura Menzies were drawn into the finding the solution along with Robert Gavin as a representative of Scotland Yard. Gladys Mitchell started writing mysteries in 1929. This book is the 28th in the series and was published in 1955. The book starts off with the interesting premise of the Sherlock Holmes party which is a rather long introduction to the characters. After the party the story seems to wander around a bit. I have read this book for the 2016 Golden Mystery Cover Scavenger Hunt in the category of a book with a skull on the cover.